Barq's Root Beer in 12 oz cans. Delivered in 12 Packs. Known for it's distinctive flavor with just the right amount of "bite", a true southern favorite. Originated in New Orleans, but quickly became popular nationwide. 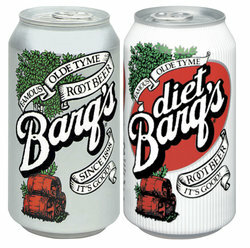 Barq's root beer in 12 oz cans.